TRANSCEND MEDIA SERVICE » Libya in Chaos Seven Years after NATO’s ‘Liberation’, but Who Cares? 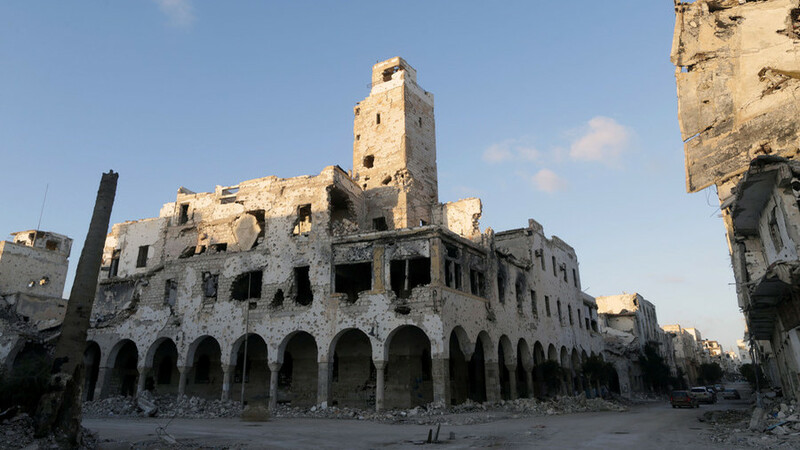 A historic building ruined during a conflict, Benghazi, Libya, February 28, 2018. 7 Sep 2018 – Libya remains a lawless land, with rival militias fighting battles in the streets of Tripoli and over 1 million people in need of aid. But the West’s ‘liberal interventionists’ aren’t interested in the catastrophe they created. Neil Clark is a journalist, writer, broadcaster and blogger. He has written for many newspapers and magazines in the UK and other countries including The Guardian, Morning Star, Daily and Sunday Express, Mail on Sunday, Daily Mail, Daily Telegraph, New Statesman, The Spectator, The Week, and The American Conservative. He is a regular pundit on RT and has also appeared on BBC TV and radio, Sky News, Press TV and the Voice of Russia. He is the co-founder of the Campaign For Public Ownership @PublicOwnership. His award winning blog can be found at www.neilclark66.blogspot.com.